One of the many advantages of your SBI® membership is the opportunity to interact with the editors of several highly esteemed journals. In addition to the two official SBI® publications, the Journal of Small Business Strategy and the Small Business Institute® Journal, our members sit at the helm of several other well-respected journals. When seeking high quality outlets for your work, be certain to consider them! Also, make certain you identify yourself as a member of SBI®; the editors have happily extended the promise of a quick review for authors that identify as SBI® members when they submit. The International Journal of Family Business (ISSN: 1550-5812) publishes original pieces on topics related to international entrepreneurship, family business with international relevance, and global entrepreneurship. The journal is largely oriented toward empirical research; however, literature reviews and theoretical papers will also be considered. Edited by Professor Shawn Carraher, University of Texas at Dallas, the International Journal of Family Business is published once annually and has a Cabell’s posted acceptance rate of 22%. Submissions are accepted electronically via email. The Journal of Entrepreneurship and Public Policy (ISSN: 2045-2101) was created to encourage and disseminate quality research about the relationships among entrepreneurship, public policy, and economic development. JEPP is deliberately eclectic in its approach to empirical evidence and welcomes both empirically oriented academic papers and conceptual/theoretical pieces. Edited by Professor Noel Campbell, University of Central Arkansas, the Journal of Entrepreneurship and Public Policy is published twice annually and indexed and abstracted in: British Library, Cabell’s Directory, EBSCO, INSPEC, RePEc, and Summon. Further information is available via the journal’s website. The Journal of Management History (ISSN: 1751-1348) reflects on the historical development of management concepts and practices, with a view to how they inform the present and shape what we are and what we do. Papers from this journal will enable readers to improve judgment by apprising current and future scholars and practitioners about the experiences of those in different times and places. Edited by Professor Shawn Carraher, University of Texas at Dallas, the Journal of Management History is indexed and abstracted in: ABI/INFORM, BIOSOS, Cabell’s Directory, OCLS’s Electronic Collection & Proquest. The journal publishes four issues each year; further information is available via the journal’s website. 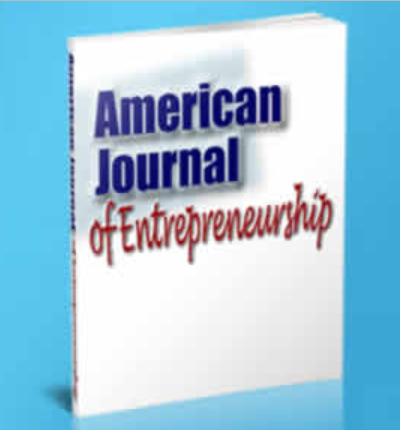 The American Journal of Entrepreneurship (ISSN: 2164-9685) has at its mission to increase our knowledge of entrepreneurship and entrepreneurs in the many ways they manifest themselves in the global economy. It is a cross-disciplinary journal that welcomes participation from anyone with an interest in entrepreneurship. An overarching goal is to offer an eclectic, cross-disciplinary entrepreneurship research experience. Edited by Professor Kirk Harriot, Columbus State University, the American Journal of Entrepreneurship is indexed and abstracted in: EBSCO, ProQuest Entrepreneurship, & Cabell’s Directory. The journal publishes two issues each year; further information is available via the journal’s website. 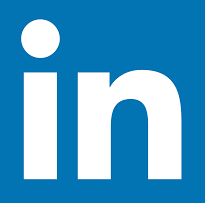 In the age of globalization, China presents a unique setting for organizations. The Journal of Technology Management in China (ISSN: 1746-8779) is an international journal committed to encouraging and publishing work within the technology and knowledge transfer, technology and business strategy and technology management fields in China. Edited by Professor Shawn Carraher, University of Texas at Dallas, the Journal of Technology Management in China is indexed and abstracted in: Cabell’s Directory & INSPEC. The journal publishes two issues each year; further information is available via the journal’s website.